“This song is about the multiple stages you go through in life. Getting older is not a bad thing even though people might say so. 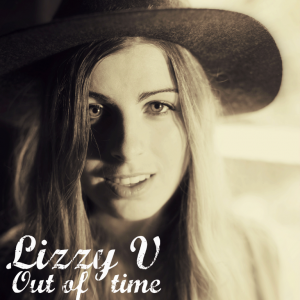 With every year, you’ll experience more things to enrich your life, and while you face challenges, you should look at the beauty it has to offer,” says Lizzy V.
“Out of Time” highlights the negative association most people have with growing older and, like most music by Lizzy V, offers listeners a brighter perspective. 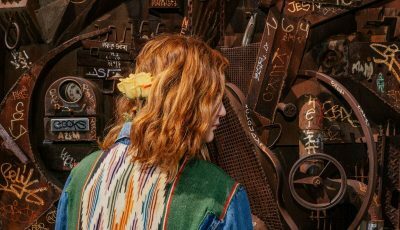 Not only will this track will leave you with a greater outlook on life, but the contentment of the acoustic guitar over rhythmic drums will inevitably make you smile. Originally from Rockanje in the Netherlands, 20-year-old Lizzy V, formally known as Lisanne Veenendaal, began writing music at just 10 years old. Her talent at singing and songwriting became apparent just a few years later when she entered the Top 80 in the National Pre-Eurovision Song Contest, and then won Gigstarter Artist of 2015. Lizzy has performed with multiple Dutch music stars, as well as with her band on the NAMM Show. She was accepted into music conservatory schools in her country, but decided to pursue a full-time music career instead. Lizzy V currently takes turns residing in both the Netherlands and the United States, where she is working hard to at new singles and remixes. 2017 has been treating me very well. This year my first single “gowas” released and the feedback was amazing. I have been touring through Ibiza and played a lot of shows nationally and internationally. So I’m very happy with that! This year’s approach was about getting music out there where last year was about getting it all ready to get it out there. That is a funny question! At this moment I am writing this in my home studio. Music gets me so distracted because I always want to sing along or jam out to it, so no music is playing. Of course I listen to loads of music, lately, Elijah Ray, Hunter Hayes and Rascal Flatts are on a constant loop everywhere I go. Their music just really makes me happy. My first musical memory was one where I was in a car with two strangers next to me. I was like four years old I think. There was an awesome cassette playing and I really wanted to sing along with it but I was scared because of the strangers in the car so I decided to sing to the window pretending they were not there. That’s an odd memory I guess haha! I always knew I wanted to perform growing up. I started out wanting to be a Broadway star but figured I didn’t really like the dancing that much but loved singing and acting. So I started writing my own songs to see if I could do it and haven’t stopped since. I am a person with a lot of interests so I could see myself doing anything! If I couldn’t perform I would probably be a doctor. The human body is such an interesting thing and helping others is something I want to do naturally. So I think that would be a good fit. Music however is my strong-suit. I always like to ask artists about where they came from and how that city or town has influenced them as an artist now. So how do you think growing up in the Netherlands has shaped who you are as a musician and the art that you create? That is a really hard one. When it comes to music, you cannot really put me in a corner. 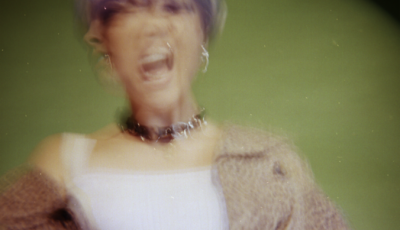 At my music studies I always was a bit of a weirdo because I wanted to make happy pop songs. Every other kid in my class thought that it wasn’t cool and tried influencing me to make hard rock or fusion. So I decided to stay close to myself and quit that school and find my own way. I never really changed myself as an artist even though people wanted me to – it’s not what I believe in. I’m curious to know whether you think the music you create in the Netherlands is different at all to the music you create here in the U.S? I don’t really think about it that much. I just create the music and get inspired of things I see. The Netherlands is not really that different from the U.S. in terms of society, I think that’s what has helped me the most while reaching my U.S. audience. Let’s talk about your recently released single “Out Of Time.” What was the inspiration for this track? Out of Time is about getting older. Many people keep on saying that getting older is a bad thing. But in every stage of life there are upsides and downsides to it. People often don’t realize they should be happy to grow old so this song serves as a refresher. How do you think it compares with your debut song “Faces”? When will you be releasing a full-length album of new material? Out of Time is a more mature song. That is funny because it is about getting more mature! I really like both songs so comparing them is a bit hard. As an upcoming artist I now mainly focus on getting singles out there before focusing on an EP or potential album. I’ve read that you started writing music at just 10-years-old! What were those songs about? Do you still have them? I still have them. Sometimes I listen to them with friends and laugh about them. They were about unanswered love. At that time I was so in love with a guy but he didn’t love me back and it was killing me. Now it is just cute to look back at and relive that period of my life. 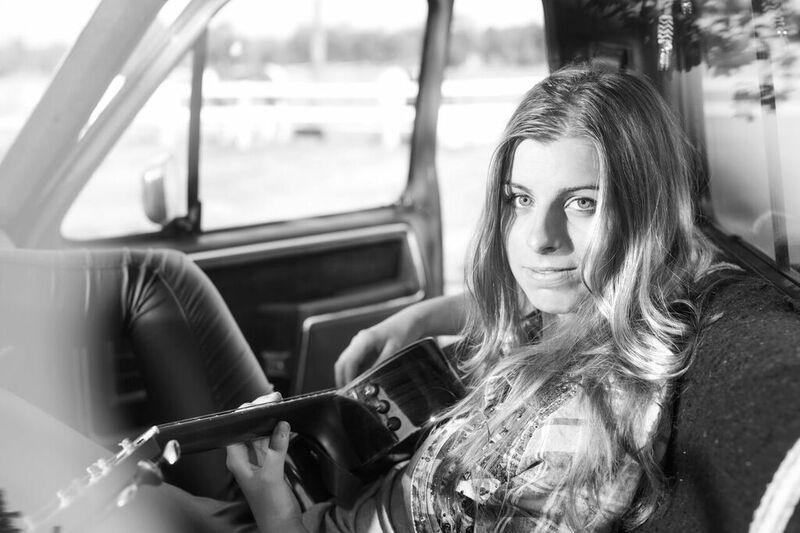 What was it like winning Gigstarter Artist of 2015? Did that help make you realize that you could really write songs and be a performer professionally? It was amazing! There were 750 bands competing for the title and I just started out with a band to support my music. We had 2 rehearsals and then had to play the big show for the title. We did not think we would win because there were some amazing bands playing that knew each other for more that 20 years. And I was not even 20 years old at that point! But we pulled it off and that was a dream moment. Sometimes I look back at that show and just get super happy again. I was very special and a great confidence boost. I always said: “If Hunter Hayes wants to do a song together, it would be a dream come true.” Hunter really inspires me and seeing him do so well is awesome. When he was on his EU tour I got the chance to sing his song “Wanted” with him. I still get emotional thinking about how amazing that was. I hope my songs make people smile. The world is becoming a sad place and fear is slowly taking over. I just want to inspire people to look at life and realize what is happening and get together to get over it and get happy. It is very idealistic but if you don’t try, you will never succeed. Go for it! Follow your dreams and work hard to get to the point you want to be. Don’t let anybody tell you you are not good enough and find out which path fits to you. I would love for them to find out more about me on my social media. Follow me on Instagram and Facebook, check out my songs on Spotify or Youtube and get to know me a little better. 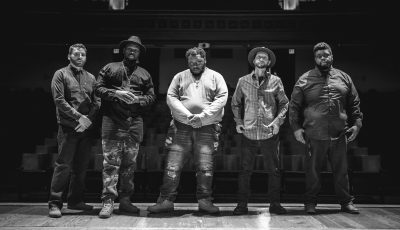 An Interview with The Pop-Rock Band, THE CUCKOOS!